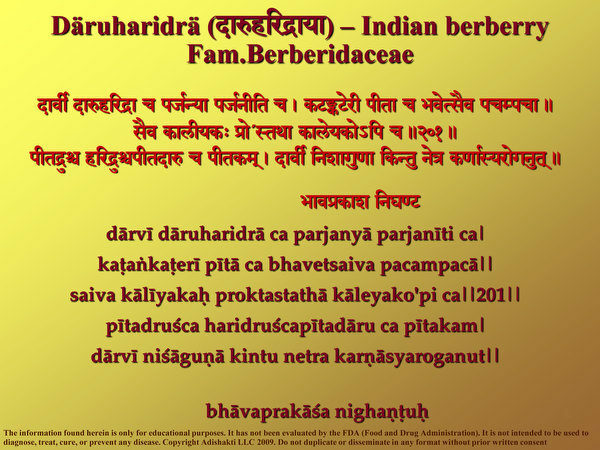 Daruharidra is very powerful herb. It is not well known in the world today, but it has been used for ages in Ayurveda. Charak Samhita, the oldest Ayurvedic text, describes its use in many formulations, and Vaidya Mishra’s family has been using this plant for thousands of years. The Latin name is berberis aristata, and the English names are tree turmeric and Indian berberry. According Charak Samhita, daruharidra is the best herb for supporting the immune system, and is particularly good at reducing acquired intolerances, or allergies. Acquired intolerances are allergic reactions to foods such as wheat or dairy that are acquired over time. These kind of intolerances stem from an overactive immune system, with a root cause of too many toxins in the body. In modern life, it is easy to acquire lots of toxins. Garavisha (pesticides and xenobiotics) in the food we eat, in the water we drink and in the air we breathe build up in the liver and tissues of the body. Weak digestion, due to lack of exercise and bad food also makes toxins build-up in the system. Regular consumption of processed foods, leftovers and heavy foods cooked without spices causes semi-digested material (ama) to accumulate in the body and to slowly become chemically a charged toxin (amavisha). Toxic emotions, skipping or delaying meals and type-A behavior all create reactive toxins (amavisha) immediately in the system. Electromagnetic radiation (indravajravijanyavisha), disturbs the subtle vibrational intelligence of the body, weakening digestion and metabolism, constricting the channels of elimination and creating a cascade of chemical toxicity in the body. All of these toxins place a heavy load on the liver and kidneys. If the liver gets backed up with toxins, and toxins spill over into the blood and tissues of the body, the immune system can easily become overtaxed and confused. The highly reactive nature of amavisha (free-radicals and strongly acidic toxins) easily damages or kills normal cells in the body, which the immune system then has to clean up. If there is a great abundance of toxins floating in the blood, the effects of these reactive toxins on the tissues will be widespread, and the immune system will become overactive in its attempt to maintain order. This is a fertile ground for acquired intolerances. When you combine an overactive immune system with poor digestion and metabolism, acquired food intolerances are a natural result. 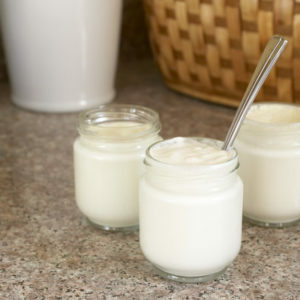 When a person with an overactive immune system eats certain foods that he or she has trouble digesting, such as wheat or milk, the body produces ama (semi-digested material). All of us produce this kind of ama when we cannot digest something well. But for a person with an overactive immune system, the particles of ama (thick, heavy, sticky material) are immediately attacked by the immune system, which gives an allergic reaction. Daruharidra, when used in proper combination with other herbs, is able to support the immune system to regain balance. If, at the same time, you slowly improve digestion and gradually detoxify the blood and liver, the immune system will eventually return to a normal, relaxed state and the acquired intolerances will disappear. In addition to this ability to support the immune system, the verse described in this audio file says that daruharidra is especially helpful for problems with the eyes and ears (netrakarnasyaroganut). As the name suggests, tree turmeric, has all of the same qualities of regular turmeric, whose description you will find listed on this site very soon. 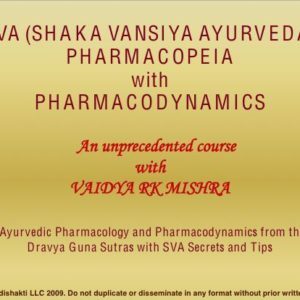 You will learn the physical properties of daruharidra and many revealing Sanskrit names for this important herb. Contains only the essence of daruharidra, so that it does not overwhelm the system. Bypasses the digestive system and liver, which may be weak, to deliver the vibration of these divya aushadhi (divine herbs) directly to the tissues that need it. Should be added to 1 to 2 liters of cool water and sipped throughout the day. This product and statements have not been evaluated by the FDA (Food and Drug Administration) and are not intended to be used to diagnose, treat or cure any disease. All of the information above is intended for educational purposes only and may not be used to replace or compliment medical advice.